An IVC filter is implanted in a person at the risk of developing blood clots. This is considered an excellent option especially for people who have experienced blood clotting problems even after taking blood-thinning medications. It’s also prescribed for people who can’t take anticoagulants may be due to medical reasons. The inferior vena cava (IVC) carries blood from the lower part of the body back to the heart. One thing you need to know about IVC filters is that sometimes they may not work as planned. They may get broken and have adverse effects on your body. 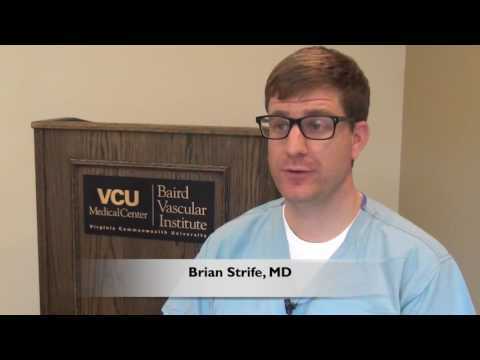 How can you know if your IVC filter is broken? Here are symptoms you should look out for. When an IVC filter malfunctions may be due to blockage, then you may start experiencing pain in the legs. When clots start forming in the filter, they bring about swellings which may be very painful. However, most people with IVC filters can dismiss the pain in their legs, confusing it with deep vein thrombosis. IVC filters are designed to help lessen the risks of deep vein thrombosis (DVT). You may interpret the pain as a result of the DVT, which may not be the case. It may be a result of a broken IVC filter. If the pain is extreme and does not stop even after some time, visit a doctor for a check-up. This is another common symptom of a broken IVC filter. When your IVC breaks, parts of it can make perforations on your other blood vessels. This can make you feel pains around the spine or your abdominal area. Even though pain in these areas may be a sign of many other diseases, don’t be quick to rule out a malfunctioning IVC, especially if you have one implanted in your body. A broken IVC not only causes leg pain and abdominal pain, it also causes heart problems. When it breaks and struts make their way to the heart, you may even get a heart attack. In extreme cases, the broken IVC filter may cause internal bleeding, stroke, hemorrhaging, holes in the heart or cardiac tamponade. A patient may experience other symptoms around the chest area such as severe chest pains, neck pains, shortness of breath, difficulty when breathing, loss of consciousness, rapid heart rate and lightheadedness. If you have an IVC and you’re experiencing any of these symptoms, have it checked out by a healthcare professional. This way, any small problems will be detected before they graduate into bigger ones. Keep in mind that breaking of IVC filters isn’t necessarily accompanied by symptoms. Since blood vessels do not have nerve endings, internal injuries may produce no symptoms. In this scenario, you may not be able to detect a problem until swellings have emerged. That’s why it’s recommended to visit a specialist, have it checked out and if there are any issues, they’ll be handled early enough. 5 Tips to be Better at Tennis	Do you need training to be a medical transcriptionist?